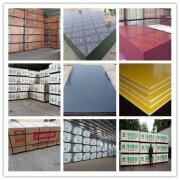 WOOD GROUP Building Materials Co.,Ltd. (WOOD GROUP) is one of largest manufacturer of plywood and related products in China, which was founded in 1995 with 6 subsidiaries. We are now enjoying 62 production lines of film faced plywood ,commercial plywood and LVL. Our productivity of all kinds of plywood is 220,000m3 and 1,000,000m3 for film faced plywood each year. Equipped with many advanced machines, Italian IMEAS sanders,Japanese UROKO peeling machines, Veneer Joint Tenderizers and big dry machines, the company is committed to producing and exporting the highest quality products in the film faced plywood and fancy plywood and Antiskid Plywood. We have won the honor of "Chinese Famous Trademark", "Jiangsu Quality Trusted Products " and "AAA Corporate Credit " . The company insists on the principle of good quality control and honesty all the time. And Our products have been certified by IS09001:2000, IS014001:2004, CE, FSC, BFU and been well sold to more than 100 countries all over the world, such as Germany, Australia, USA, Chile, Libya, UAE, Saudi Arabia, Korea, Japan, and so on. responsible to design and OEM for their brand plywood and furniture. Based on our superior quality management, well-service and leading technology, WOOD GROUP actively leads the market and takes pride in offering these products and services to our customers.